We’ve briefly talked about the importance of QuickBooks inventory management, and now we’ll go into detail about specific benefits of using Fishbowl Inventory with QuickBooks. By itself, QuickBooks has a limited ability to produce bills of materials and work orders for simple assembly jobs. With Fishbowl Inventory, however, it can produce bills of materials and work orders for an almost limitless number of parts, levels and stages. Fishbowl expands the number of accounting methods companies can use to track their products’ costs. QuickBooks only uses average costing, but Fishbowl uses standard and average costing, as well as LIFO (last in, first out) and FIFO (first in, first out). Print and scan barcodes with barcode software. Track a large number of parts between multiple locations, using serial numbers, lot numbers and other custom fields. 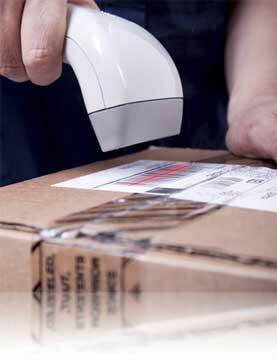 Drop ship products directly from manufacturers or wholesalers to customers. Convert units of measure, e.g. the cost of a whole pallet to the cost of individual products. One more important feature is Fishbowl’s ability to combine several product orders into one. This is a big time saver because QuickBooks only allows one order to be picked at a time. Fishbowl builds upon QuickBooks’s many useful tools to give your business a competitive advantage. Visit the Fishbowl Inventory website to learn more and receive a free trial of our software.